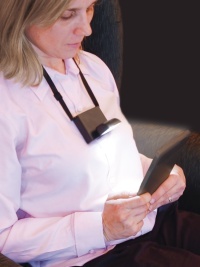 Beam n Read lights up personal space anywhere. It's worn around the neck and provides hands-free light for tasks like hand quilting, knitting, reading, camping, changing diapers, and for walking in dim or dark places. It's the only portable, personal light that supports snap-on Relaxation Filters to block eye-stressing blue light. With a wider and brighter light and longer battery runtime than clip on book lights, it works with all books and eReaders plus newspapers, loose documents, and even a handwritten letter from mom. 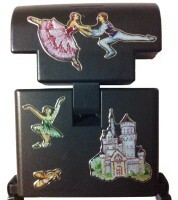 It's an excellent Kindle Reading Light. 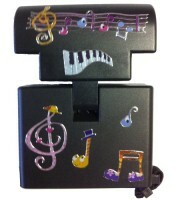 Easy portability is great for students. The extra bright light is helpful for seniors while the hands-free design also makes it practical for those using walkers or wheelchairs. The extra long battery life makes Beam n Read a very useful emergency light during a power outage and results in a lower cost to operate. It's perfect as a travel light. It consistently receives excellent Product Reviews & User Comments. 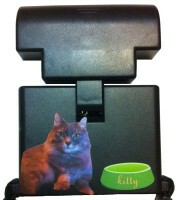 Optional accessories include USB power adapters to save batteries, and large clip on magnifiers for detail work. Included accessories vary by model. "The Beam n Read is by far the best personal reading light we have ever come across,"
and there is no better example of this than the Beam N Read personal portable LED light,"
Gadling.com, "The World's Top Travel Blog"
Beam n Read Hands-Free Lights are perfect for adding a personal touch. 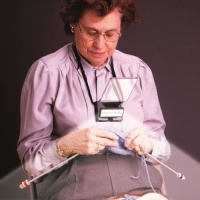 See what Slate.com, CraftCritique.com, Gadling.com, The-Gadgeteer.com, TravelSavvyMom.com, Knitty.com, UpscaleBaby.com, other web sites, and customers are saying about using the Beam n Read Hands-Free Light as a needlework light for quilting, knitting, and other crafts; a reading light for books and magazines; a travel light & camping light; an emergency light for power outages; a childcare light, and more. I love that you can soften the light by using the red or orange filters. It's a really helpful feature! Click "Product Reviews & User Comments" to see who said what and more of the text of the product reviews and user comments. 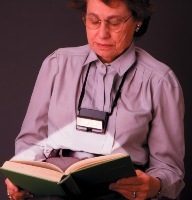 Extraordinary Low Vision Aids for a new lease on Life!